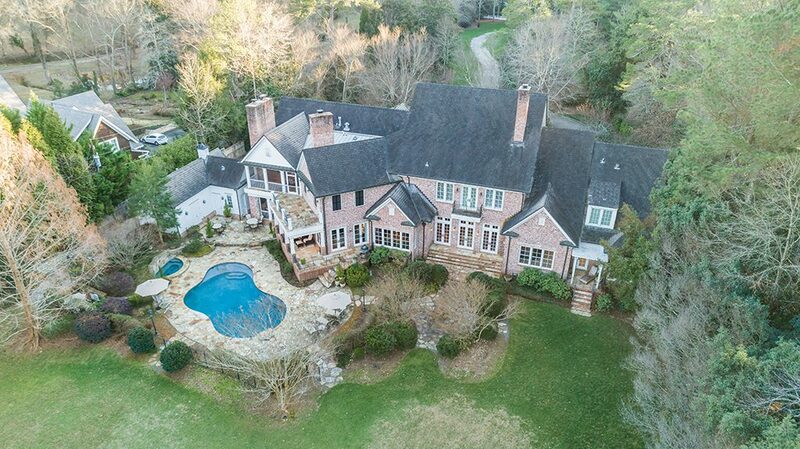 This gorgeous southern estate embraces the best of the Chattahoochee River. Just a 6-minute drive to Hwy 400 and convenient to the city, but a world away. 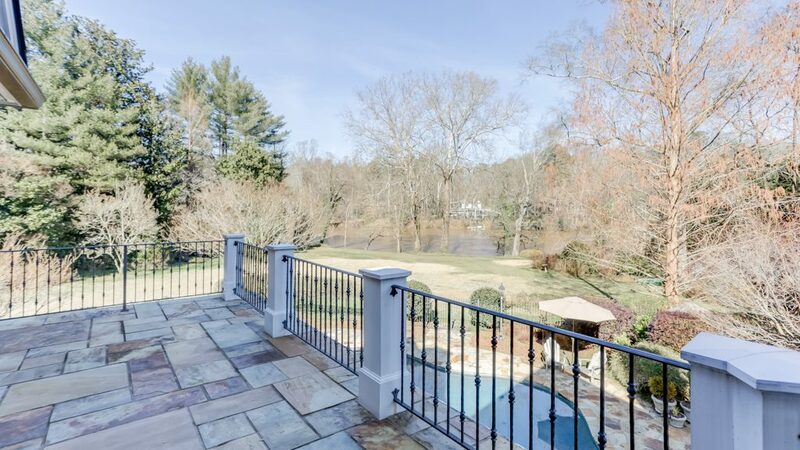 Enjoy nature and wildlife as you relax on these serene 2.77 acres with 264 ft of rare, level riverfront. Resort-like pool and spa with loggia/balconies plus surround sound as well as full pool side bath & laundry. Exterior screened-in porch with masonry fireplace and DCS grill. Brick custom construction. Copper gutters. Slate roof. One 3-car garage, plus additional garage with temperature regulation. Sprawling interior is warm & inviting. It engages stunning views throughout, 14ft+/vaulted ceilings, custom built expression from reclaimed heart pine flooring and beams to cypress accents. 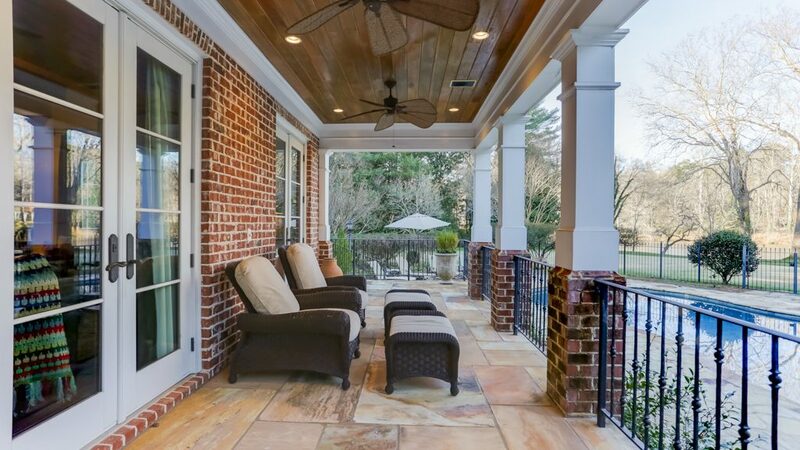 Numerous french doors invite you outside from the banquet dining, grand living, and keeping rooms. Elaborately equipped kitchen for ease in entertaining. Surround Sound throughout. 2 gorgeous fireplaces. 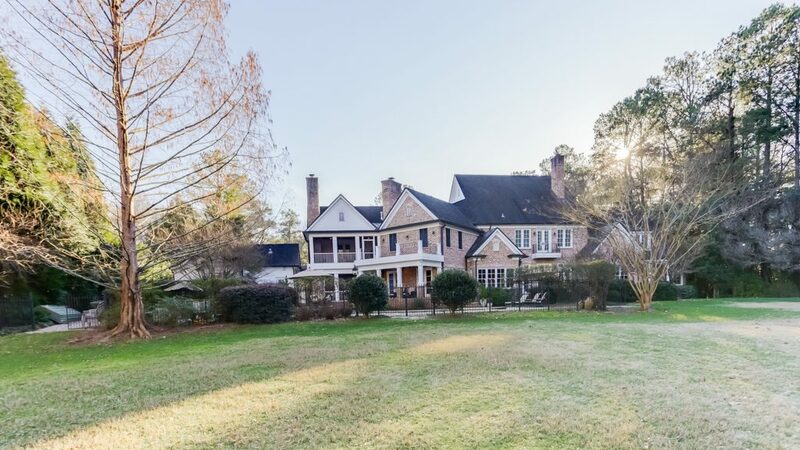 Expansive master on main features dressing closets, luxury bath, sitting room, morning bar, and private porch. 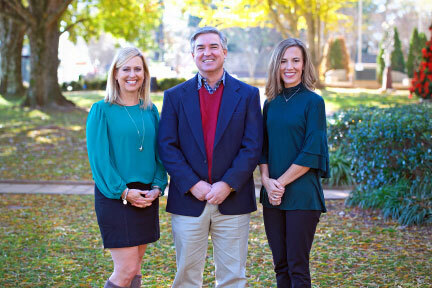 Upper level boasts of space with wide hallways, pine floors, 12 ft ceilings, 4 bedroom suites, media/exercise room, study zone, craft workroom and large recreation room with wet bar opening into screened porch and balcony. 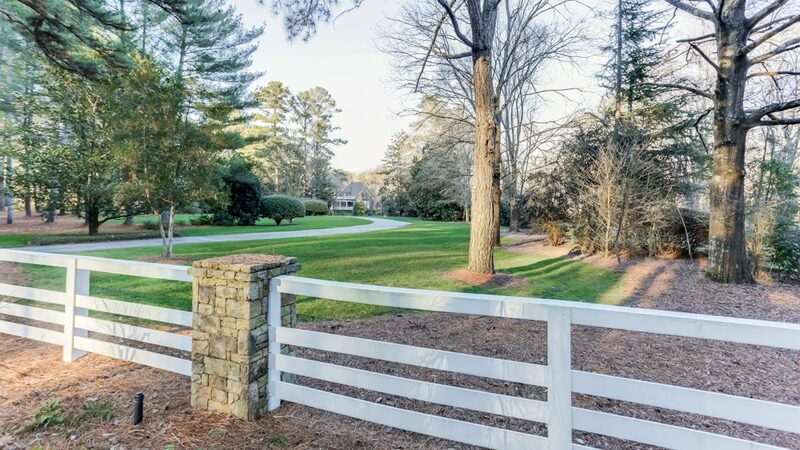 Rare Level Lot on the Chattahoochee! Everything is so Accessible and Easy! 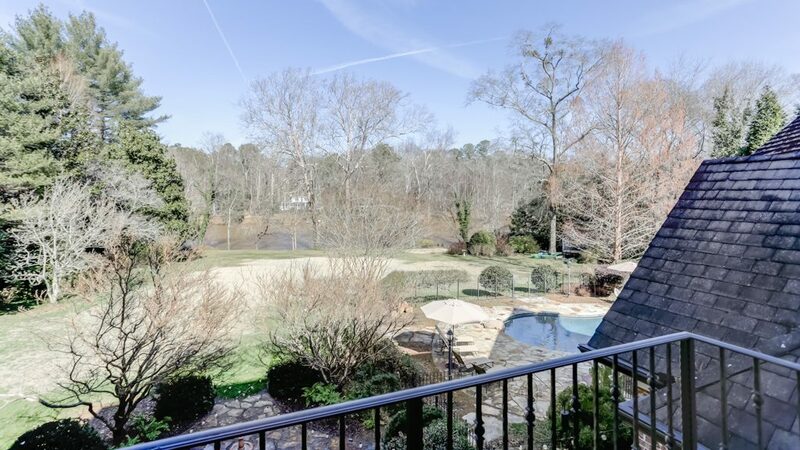 Walk out from Pool into the Expansive Lawn overlooking the Water. 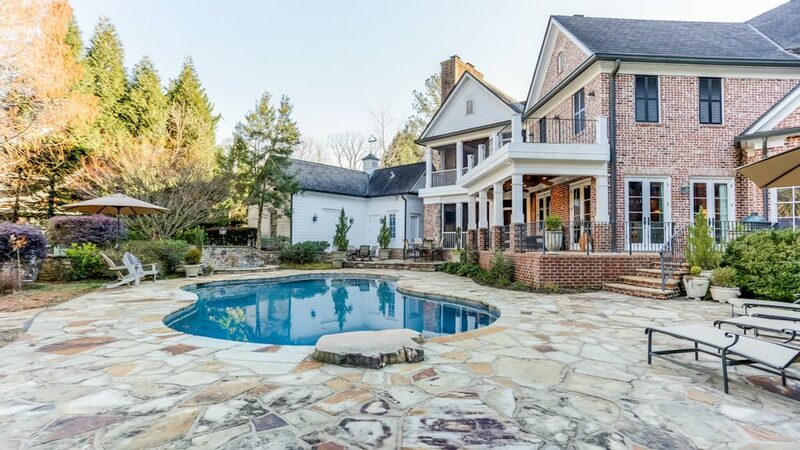 Walk-out Pebble Tec Pool and Hot Tub with Flagstone Surround. Full Bath/Shower and additional Laundry Room. Soak up the Sun by the Pool, on a Balcony or Loggia. Loggia by the pool side allows you to relax in the shade by the pool. Cypress Ceilings and Stone Patio. Home is built to embrace the river. 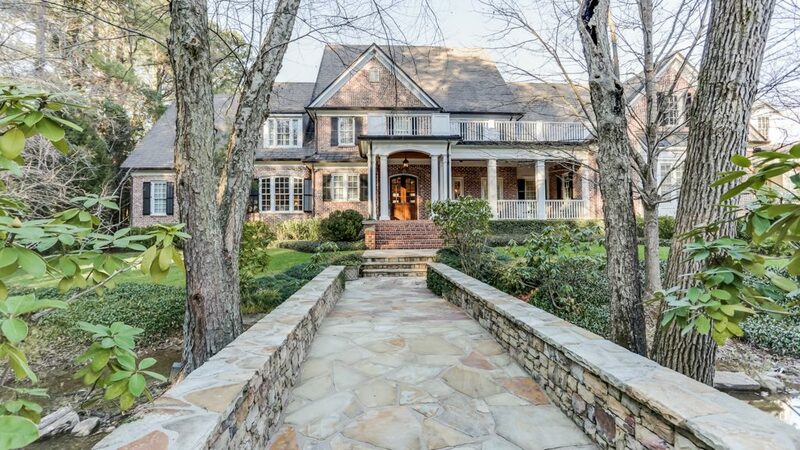 Grand Entrance across Stone Bridge into Beautiful Front Sun Porch and Custom French Entry. 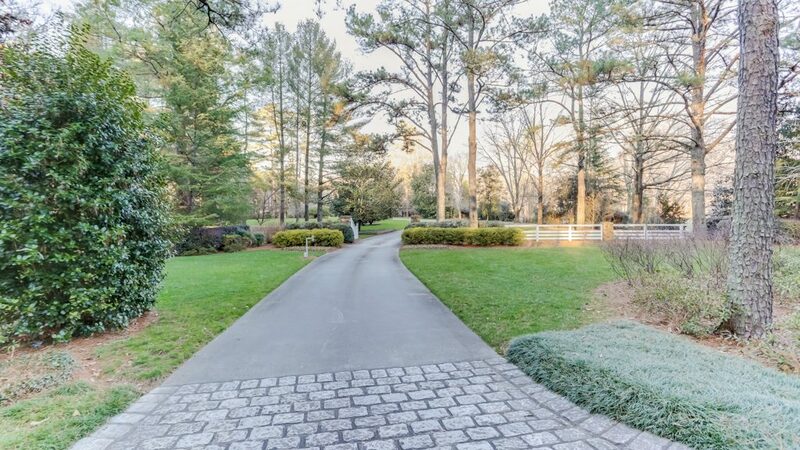 Home is setback from road beautifully to maximize privacy and prestige. 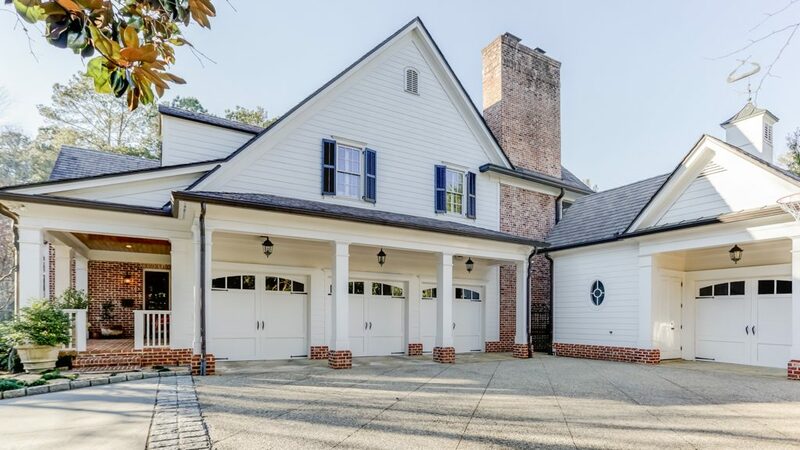 4-car garage with side porch entry leading to mudroom, dog room and laundry. One Garage is temperature controlled, perfect for a collector. Perfect for Every Season. Fireplace, Built-In Wood Storage, Flat Screen T.V., Built-In DCS Grill, Tennessee Field Stone Flooring. 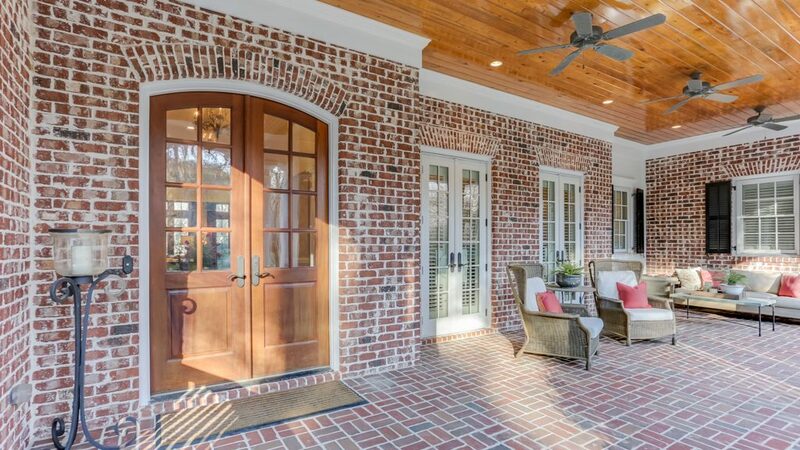 Expansive brick sun porch warmly greets our guests. 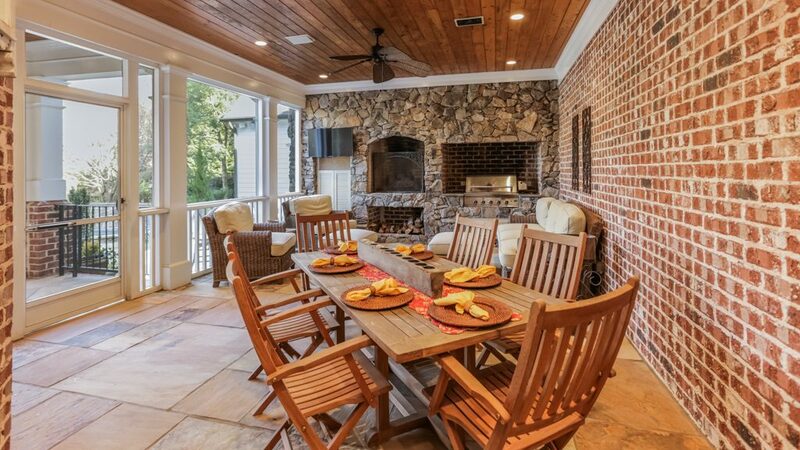 French doors open into dining for entertaining.